Today marks the Winter Solstice , nowhere here in Ireland will this moment be marks more than at Newgrange the perfect locations to gain a little understanding as to how our European ancestors both recorded and celebrated the movement of the sun and the objects of universe they lived in. Today is the shortest day of the year, the day when at Newgrange the rising sun can be seen to travel all the way into the passage tomb at the center of the monument. 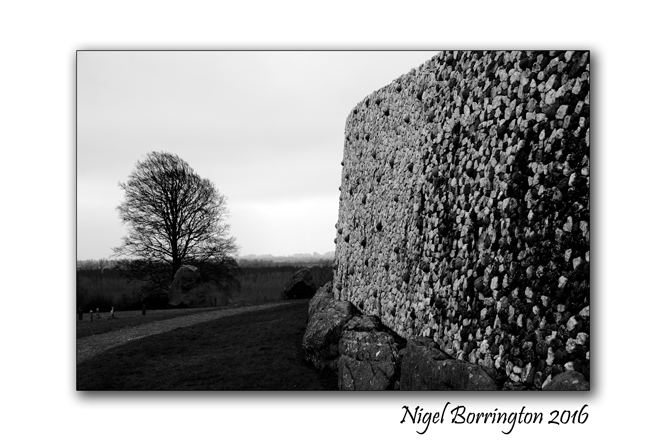 Sunrise at NewgrangeNewgrange is best known for the illumination of its passage and chamber by the Winter Solstice sun. Above the entrance to the passage of the mound there is a opening called a roof-box. On mornings around the winter solstice a beam of light penetrates the roof-box and travels up the 19 metre passage and into the chamber. As the sun rises higher, the beam widens so that the whole chamber is dramatically illuminated. Access to the chamber on the Solstice mornings is decided by a lottery that takes place at the end of September each year. All are welcome to gather outside the entrance to the Newgrange mound on each of the mornings from December 18th to December 23rd inclusive, sunrise is at 8.58am. 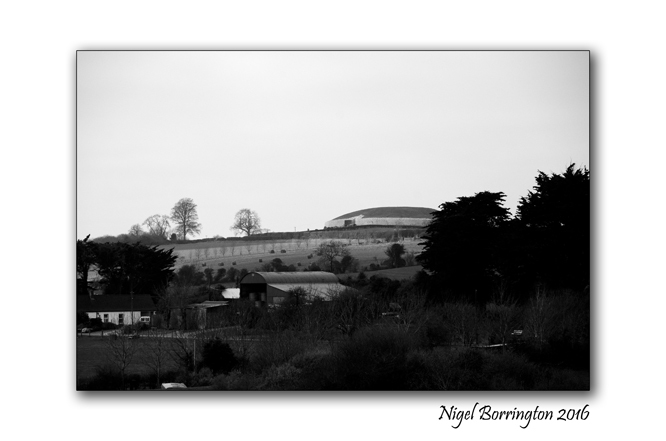 Access via the Brú na Bóinne Visitor Centre or directly to the actual Newgrange monument. Today I just want to share this You tube link ! 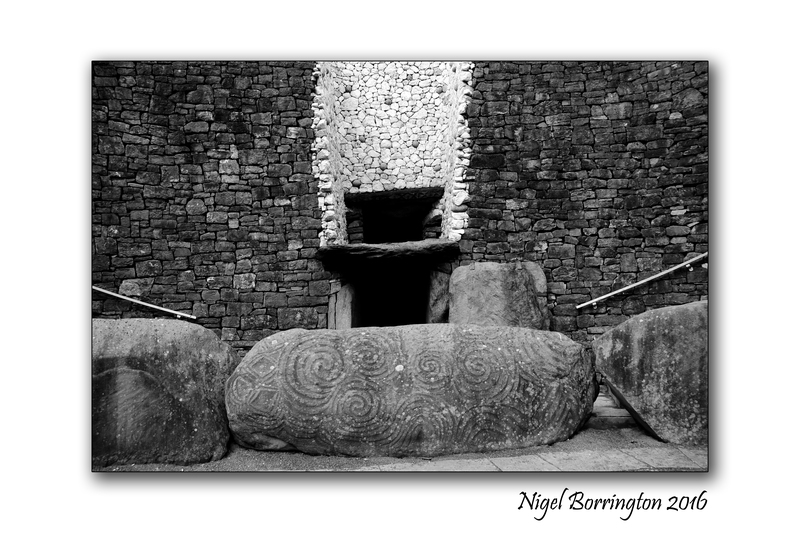 If you can please log on it would be great if as many people as possible can share this Ancient event …..
Every year, the Winter Solstice at Newgrange, Ireland, attracts crowds to witness the solstice sun illuminate the ancient tomb’s passage and chamber. At dawn, from December 19th to 23rd, a narrow beam of light penetrates the roof-box and reaches the floor of the chamber, gradually extending to the rear of the chamber. As the sun rises higher, the beam widens within the chamber so that the whole room becomes dramatically illuminated. This event lasts for 17 minutes, beginning around 9am. 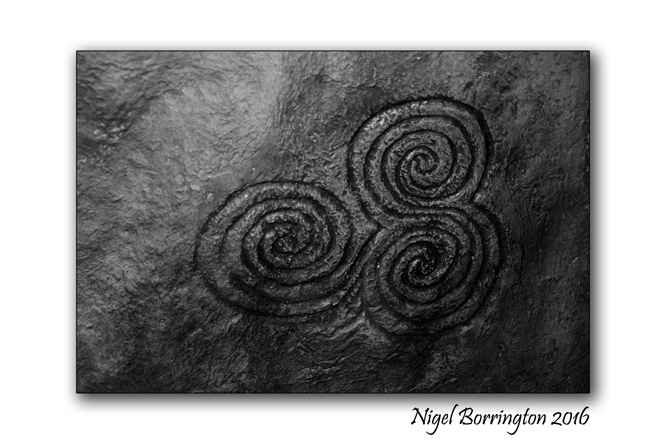 Is a design engraved on one of the stones inside the middle chamber of Newgrange is probably the most famous Irish Megalithic symbol. 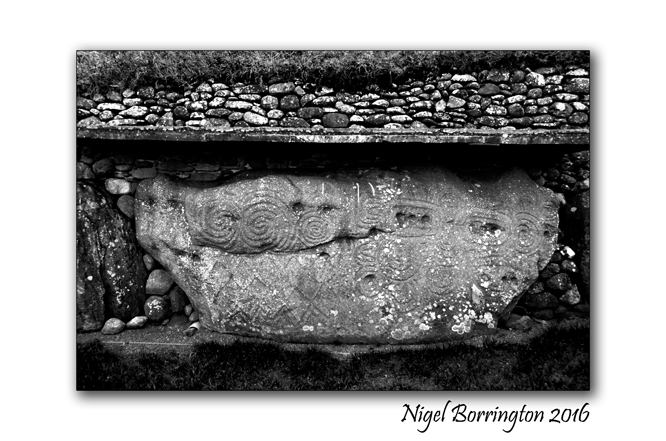 It is often referred to as a Celtic design, but it was carved at least 2500 years before the Celts reached Ireland. At 12 inches in diameter the tri-spiral design is relatively small in size, less than one-third the size of the tri-spiral design on the entrance stone. 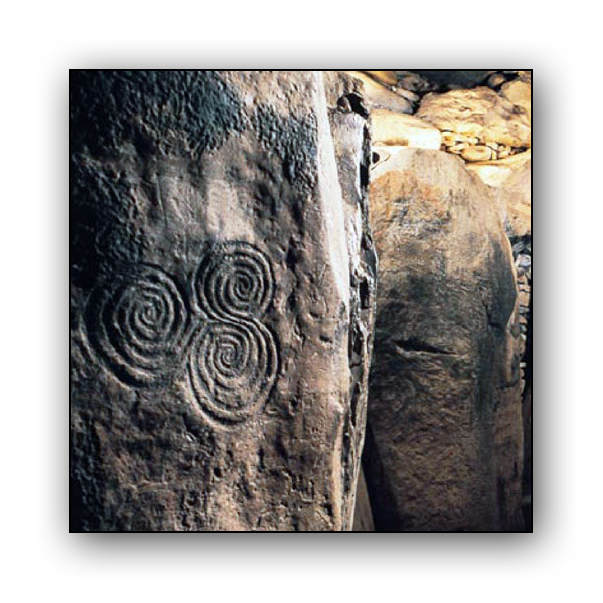 Believed by many people to be an ancient symbol of pre-Celtic and Celtic beliefs, the triple spiral appears in various forms in pre-Celtic and Celtic art, with the earliest examples having been carved on pre-Celtic stone monuments, and later examples found in the Celtic Christian illuminated manuscripts of Insular art. 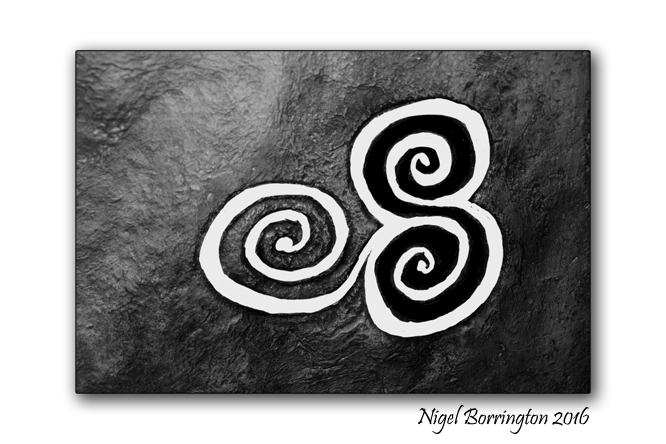 The triple spiral was possibly the precursor to the later triskele design found in the manuscripts. 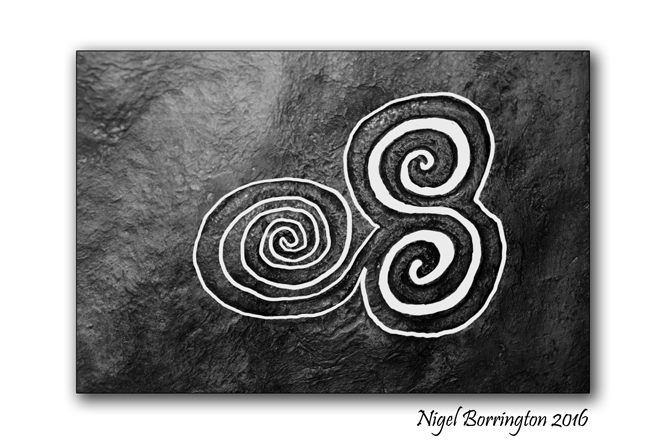 The megalithic tomb of Newgrange in Ireland features several examples of the triple spiral as petroglyphs. These particular examples do not feature three-fold symmetry of later renderings but feature two intertwined spirals with the third originating from the indentation between the other two. This particular feature is rendered with high fidelity in each instance at Newgrange and would suggest a non-tripartite interpretation. 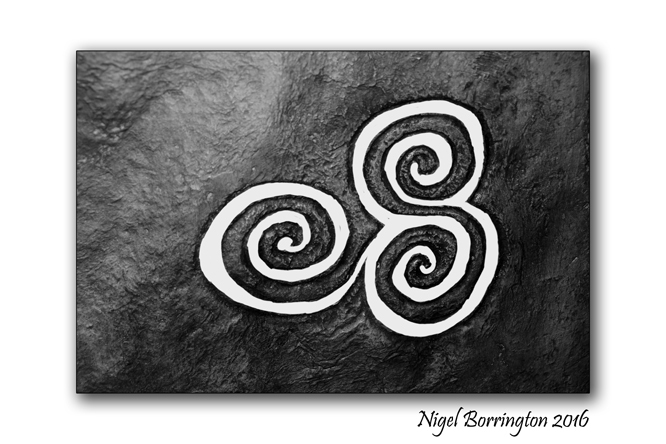 One possible interpretation could be the union of male and female (the two entwined spirals) to engender an offspring though how this relates to its setting in a tomb begs explanation. 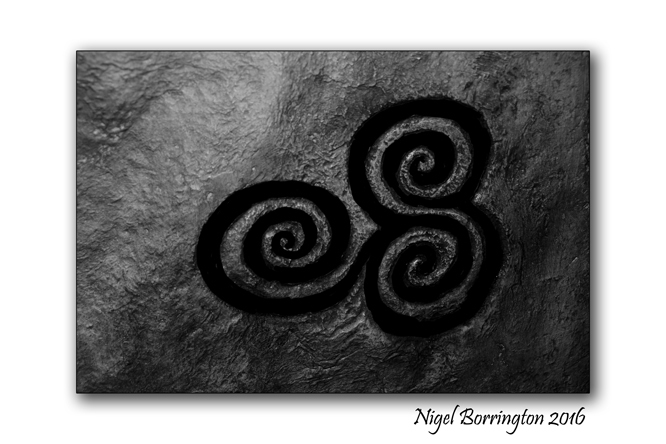 Last night in order to highlight the uniqueness of the Newgrange spirals, I produced the following versions by tracing over a photograph I took of the original, thus producing different drawings using both the positive an negative spaces of the relief. You can read into these your own interpretation of the original meaning …. 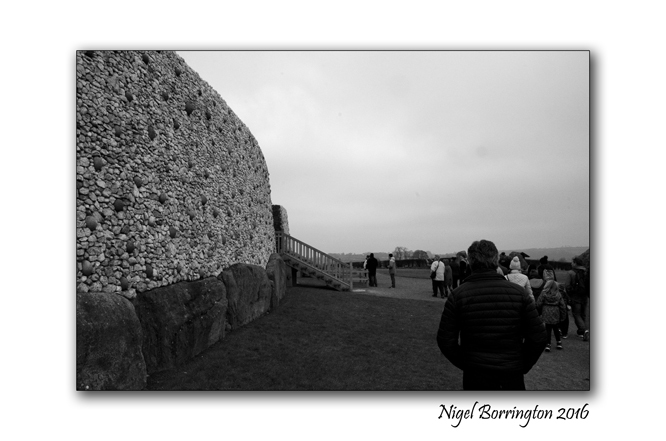 A weekend Celebrating the Spring Equinox 2016 at Newgrange, Boyne Valley, County Meath, Ireland. Happy Spring Equinox 2016 to everyone ….. 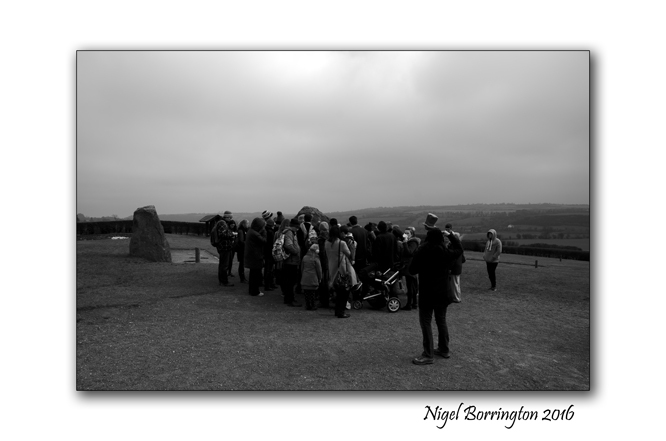 Yesterday Marked the start of spring time, so over the weekend I spent sometime visiting both Newgrange and the Hill of Tara. Both perfect locations to gain a little understanding as to how our European pagan ancestors both recorded and celebrated the movement of the sun and universe they lived in. 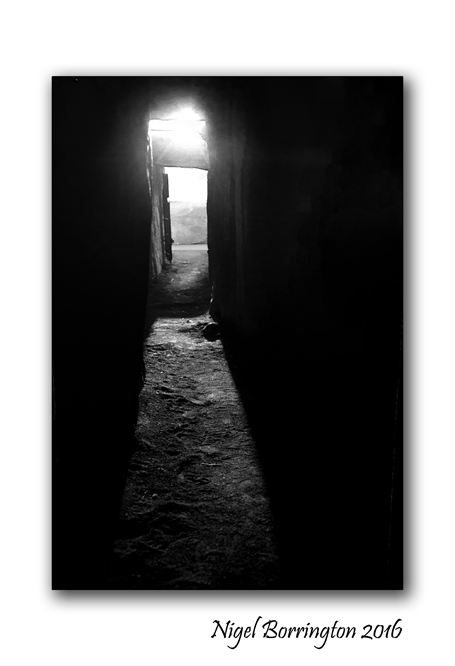 It was exactly, one quarter of a year that had passed since the shortest day of the year, the day when at Newgrange the rising sun can be seen to travel all the way into the passage tomb at the centre of the monument.